Success is sweet! To get there however we need to press on despite the challenges. Here is what a courageous man had to see when he finally got it right after numerous failures. 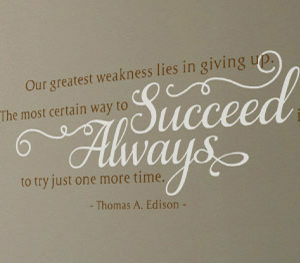 ‘Our greatest weakness lies in giving up. 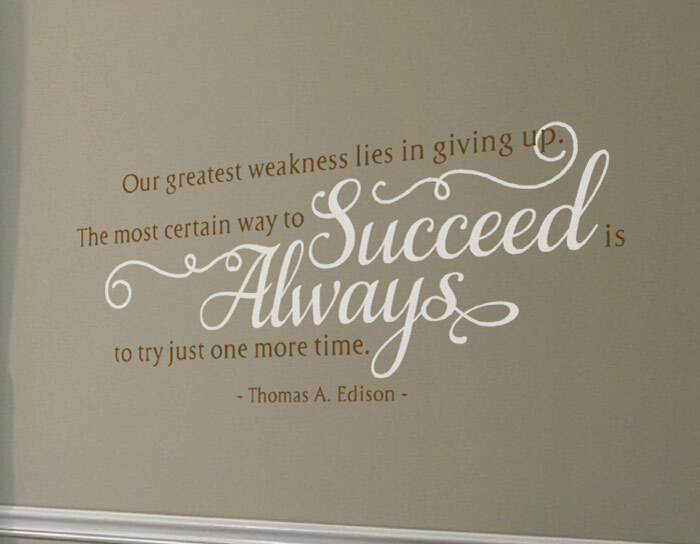 The most certain way to succeed is always to try just one more time. – Thomas A. Edison’. 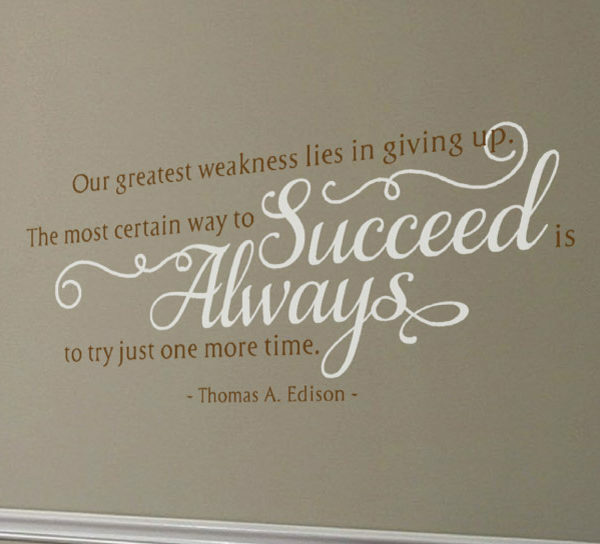 This quote is available from DecorativeLettering as wall decor! It looks great in this room next to a pair of stunning floor length curtains. They tie in with the furniture in this study. Time spent here will be time well spent. Our wall quotes are good company! Made from resin, our wall letters are durable. They are durable therefore, they not affected by extreme temperatures. Enjoying and maintaining these creative wall words will be a breeze! You can be sure of enjoying them for ages. Select your quote from our library or submit a preferred one if we do not have it. We have made it easy for you to have wall words that you love! Our designers are good at what they do. They will deliver wall quotes you will enjoy for years to come. If you live overseas, do not worry! We ship worldwide. You too can enjoy our high quality and unique wall decals! Do get in touch. Let us help you decorate with inspiring wall lettering!